One of the most important parts of Tainted Grail is that every playable character is in some way broken or afflicted. Each had something big happen to them before the start of the game. Now, with Echoes of the Past, we have a chance to dig more into what makes these heroes unique. Where did Beor receive his wound and why won’t it heal? What happened between Naazer and the love of his life? 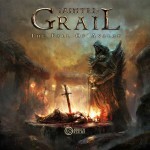 Why was Ailei spared by Wyrdness that claimed all of her kin? Which of the countless atrocities resulted in Arev’s curse? Why did Madb devote herself to keeping the legends of the past alive? Thanks to Echoes, you will learn all of this – and much more. 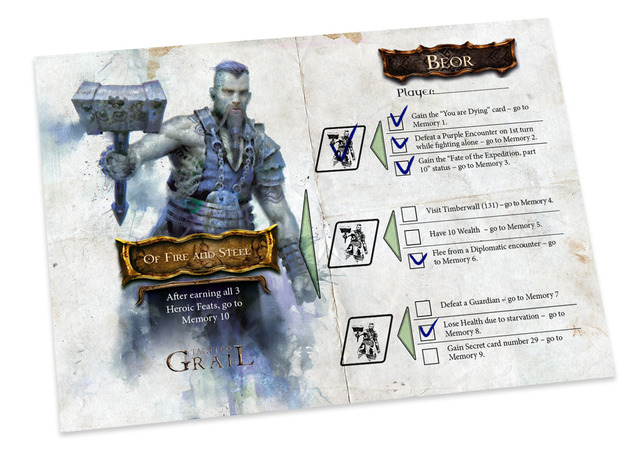 The add-on contains a personal achievement sheet for each character from all three campaigns, including Niamh. This sheet lists 9 special conditions that trigger 9 unique Memories – if you fulfill any condition during the game, you can mark it off and read an appropriate Memory from the “Echoes of the Past” brochure. These memories have a small gameplay effect (sometimes positive, sometimes negative). But as you progress through the game, and your Character progresses in their story of self-discovery or reconciliation, you will also gain some interesting rewards. 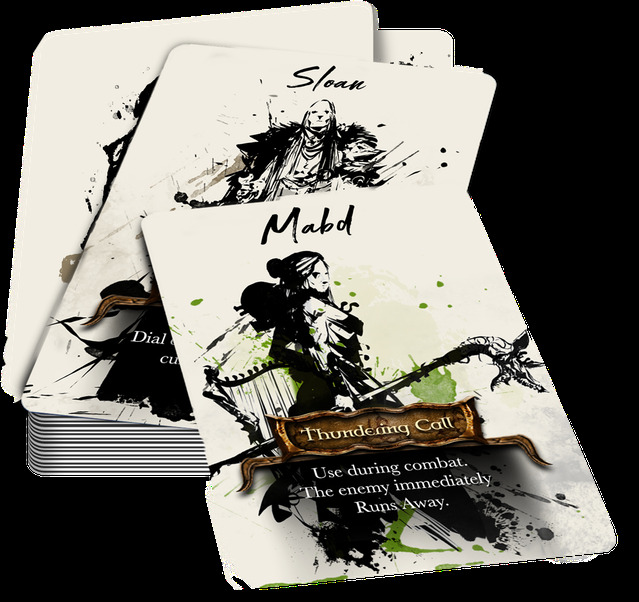 Every time you complete a block of three achievements, you receive a Legendary Action card that you keep by your Character Board – you can use it once to perform a single action so epic that bards will sing stories about you in the years to come. Then, the Legendary Action card is discarded from the game. That’s not everything! If you manage to trigger ALL basic memories, you progress to the final, tenth entry in the brochure that contains a personal side-quest where your hero will confront their worst fears, weaknesses, or a personal nemesis. Should they emerge victoriously, they receive a special golden Legendary Action card that gives your character permanently a second gameplay action! Don’t worry if you won’t get there in a single game. The sheets can be used as a legacy element, allowing your hero to start a new game with a part of their story and some Heroic Feats cards already unlocked. 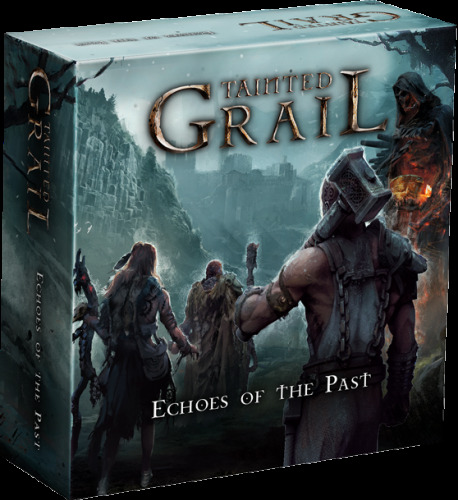 Effectively, this add-on introduces interesting personal objectives for each of the characters, and a small legacy element, at the same time reinforcing the character backstories and providing a deeper look into the world of Tainted Grail. Please keep in mind that it is an advanced addition that requires some knowledge of the game and is best suited for your second or even third playthrough of the campaigns!